Looking for a refreshing read this spring break? Look no further than L.T. 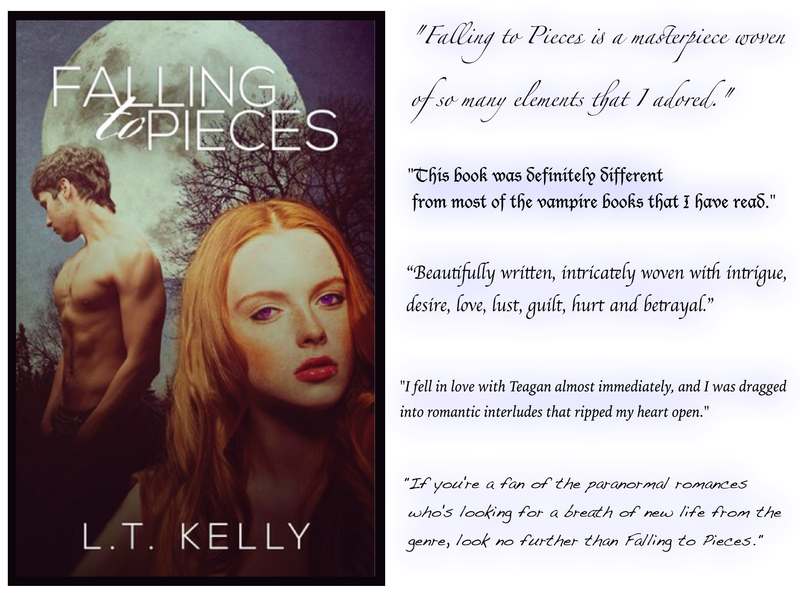 Kelly’s Falling Series. The entire series will cost you only 99 pennies! The first instalment, Falling to Pieces is FREE from now until the 6th of April! 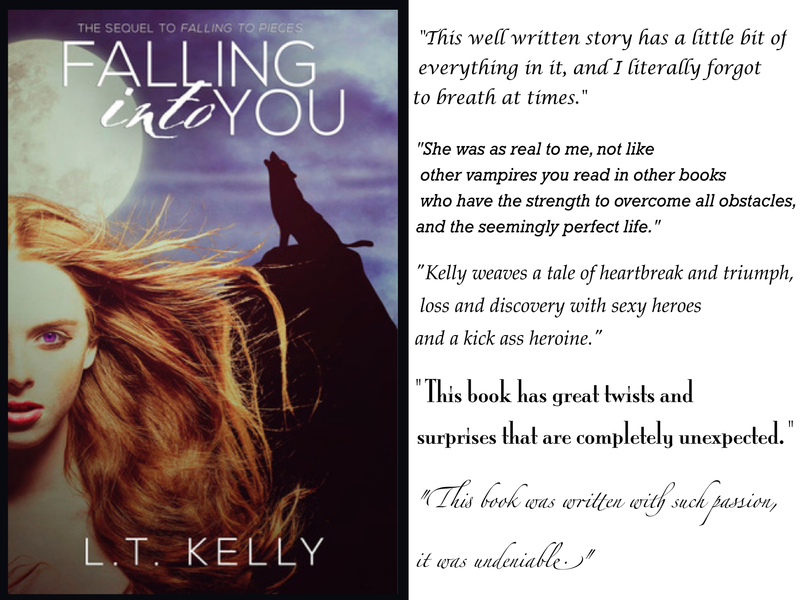 The sequel, Falling into You is a absolute steal at 99c/99p! Marc Romano disappeared without a trace into the darkness. His lover became overwhelmed with grief in her loss. But her grief takes on a much more murderous form than most, for Teagan Lewis is a vampire. Now her heartache is driving her further from the woman she once was, and she realises she must snap out of her monstrous habits and discover the way back to her old self. But how? Ending their trip around Europe, Teagan and her friend Alex head back to New York. Teagan has the full intention of carrying out a dangerous plan here; not just physically dangerous, but emotionally as well. How will she be able to resist the irresistible? And what of the new rival, Ivan Lenin? He threatens her life and the lives of everyone she loves. The only people who can help her are her sworn enemy and an ancient stranger. Will they assist her? L.T. Kelly loves to hear from readers and potential readers. Wether that’s leaving a review on Amazon or Goodreads, or personally getting in touch. ← WHAT ARE KENNEDY’S CRAVINGS AND WILL SHE FINALLY BE ABLE TO HAVE THEM SATISFIED? ?